When it comes to weird weddings, we’ve seen all sorts of themed nuptials, from zombie weddings to Star Trek-themed ceremonies and bacon-focused receptions. But this upcoming Spam-themed wedding has got to be one of the strangest. Spam — the pre-cooked and canned meat product that’s particularly popular in Hawaii — happens to be one of the great loves of Mark Benson’s life. He even legally changed his name to Mark “I Love SPAM” Benson (no, really) in 2015. 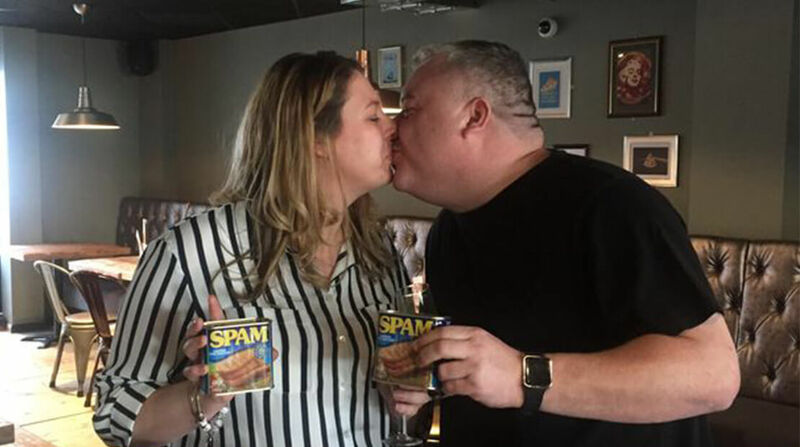 In 2016, Anne Mousley, his fiancée (and the other love of his life), approached the Spam brand about having their wedding at the new Spam museum in Austin, Minnesota.